The first kite was built with wood by philosopher and engineer Mozi (478 – 392 B.C.). He spent three years to build it, but only flied for a day before broken. 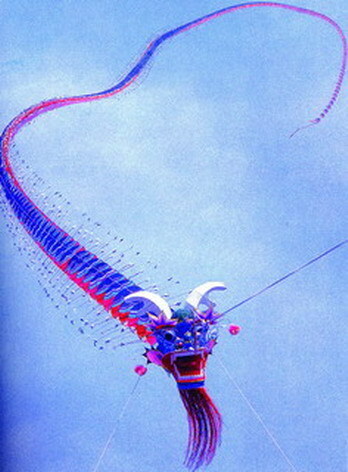 Later people used bamboo or animal skin to make kites. In Han Dynasty, Cai Lun invented paper. Then people start to make kites with paper. 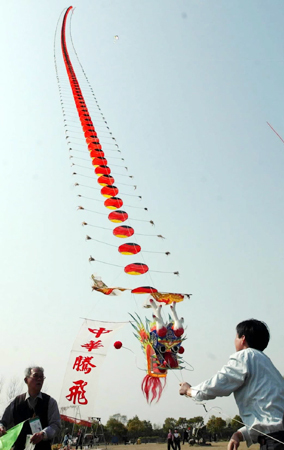 Located in Shandong province, the City of Weifang is the world capital of kites. It is believed to be the birthplace of kite. 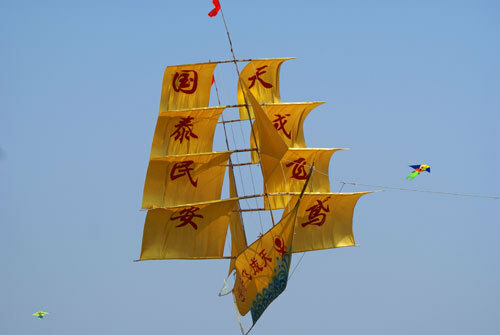 Since 1984, in the middle April of every year, Weifang holds its international kite festival. 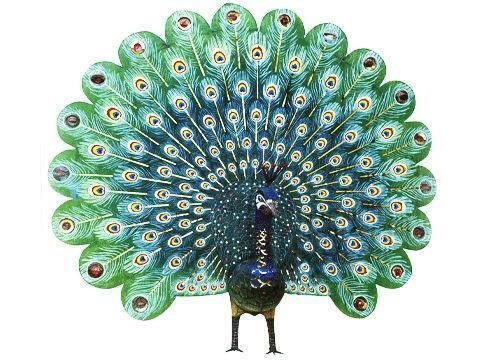 Now they have been successfully held for 25 years, which attracted lots of visitors from all around the world. 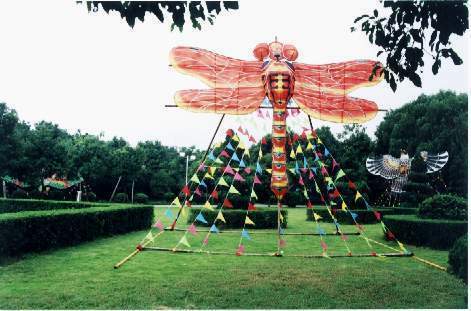 It not only helps promote the art and culture of kite, but also contributes a lot to local economy. It is now the symbol of the city. Weifang has a long history of making kites. Their skills and techniques are unique and delicate. 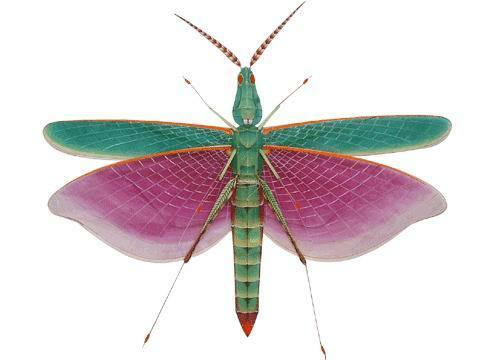 Usually, people make them using bamboo as bones, silk cloth as cover, and draw the kite purely by hand. 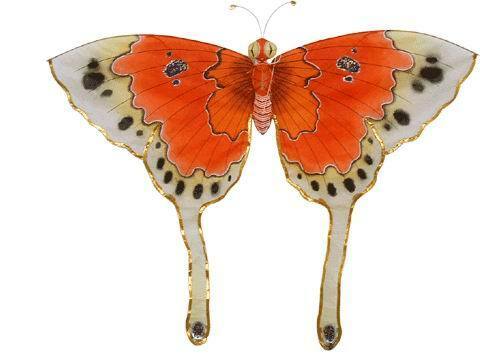 It contains a great value of combination of art and craft. 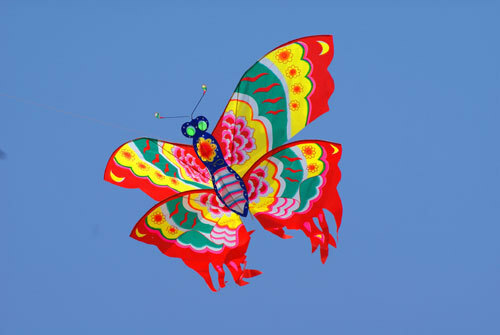 According to the shape, Weifang kites can be categorized into six types: tandem, stereo, board, hard wings, soft wings and free types. Kite is not only a form of folk art or an enjoyable sport, but also a great tool to solve one of the biggest problems the world faces — Energy. Some talented engineers in Netherlands are designing giant kites to harness wind power. They have made some great achievement and their prototype also seems to be quite promising. You can see the details here. There are several advantages to use kites instead of turbines for wind power. 1. Cheaper. This is obvious. Flying kites are much cheaper than those giant turbines. 2. Higher. Turbines can only harness the wind power close to ground, which is slow and less powerful. Kites can reach much higher and be much more efficient. 3. Save land. You don’t need to waste much land to fly a kite, right? Although there must be a lot of challenges to those smart engineers, it is very nice to imagine that one day we can power up towns and cities just by flying kites. Isn’t it?